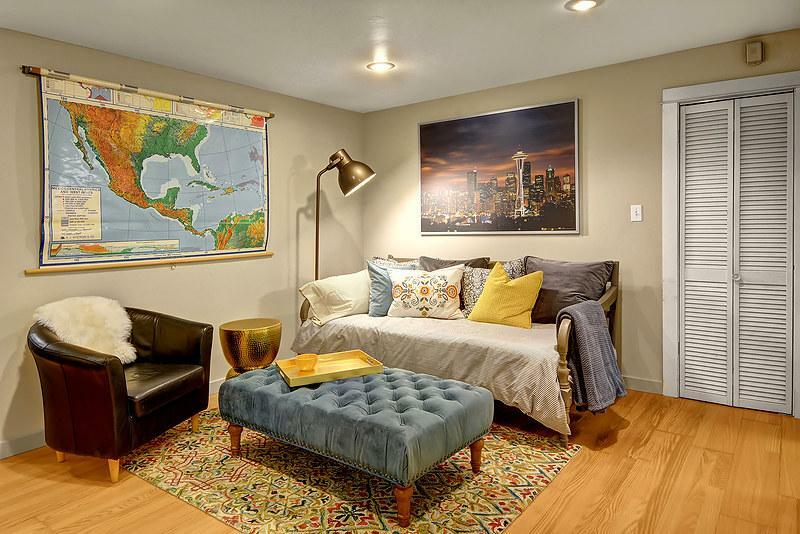 Seattle Furnished Suites is dedicated to providing our clients with comfort and convenience in a fully furnished suite during their stay in Seattle. We also aim to make Seattle Furnished Suites your first choice on your return visit through our commitment to high standards, our attention to detail, our high level of personal service, and our desire to find new ways to make your stay more enjoyable. Seattle Furnished Suites was created in 1992 to accommodate individuals in need of a temporary living arrangement as they relocated for work, visited for medical treatment, permanently moved to the city, or for any of the numerous reasons people require short-time furnished housing in today's ever-changing world. Though it began began humbly with only two Bay Park suites, Seattle Furnished Suites now has thirty-five suites in seven different neighborhoods and continues to grow each year. I currently work in real estate brokerage for Coldwell Banker. Officially, my career began in 1963; but unofficially, it began some time during my youth, when I started building small clubhouses and backyard hideaways for my friends. Yet my interests and passions include much more than real estate. I value public and private charity. I am an active member of Rotary International. My work with the organization has allowed me to travel around the world. I have worked on home-building and immunization projects in Ethiopia and Uganda, and on orphanage projects in Vietnam. My wife Jean and I help support a polio victim in Addis Ababa, Ethiopia and an orphan student in Hai Phong, Vietnam with her education. We also appreciate the arts, especially theater. My wife and I perennially travel to Ashland, Oregon to attend productions of the Oregon Shakespeare Festival and various other plays. We also enjoy and attend the many excellent theaters in Seattle. Most importantly, I love family. Jean and I delight in spending time with our three grown daughters and their families, all of whom fortunately live within a few miles of our home in Magnolia. I am the assistant property manager for Seattle Furnished Suites. My goal is to help our guests have a smooth transition and comfortable stay in Seattle. I take great pride in this because I love working with people and because I love this city! I was born and raised here, and I developed my love for working with people through years of experience in residential interior design and customer service in major cities across the country. If I can improve your stay, please don't hesitate to ask!